Columbia University researchers have released their annual back to school alcohol and drug use survey of parents and teens. They say that teens that see a parent get drunk are far more likely to also get drunk - just one of many noteworthy facts from this snapshot of real world teen attitudes and substance use. Think marijuana is a gateway drug? How about alcohol as the real gateway substance - researchers say that teens that use alcohol are 18 times more likely to use marijuana than teens who don't drink. Researchers at Columbia University's National Center on Addiction and Substance Abuse (CASA) have just released their 15th annual report based on a survey of teens; their yearly back to school report. This year's report focuses largely on the impact parental attitudes and actions have on teen behaviors. Good students (teens that get mostly A's) are far more likely to consider using marijuana a big deal than students that get mostly Cs or worse…84% to 67%. Joseph A. Califano Jr. CASA Chairman, says that if parents can keep teens from using drugs or alcohol until the age of 21, then these teens will almost certainly grow into and through adulthood without abusing drugs or alcohol, and that "for better or worse, no one has greater power to influence a teen's decision whether to drink or use drugs than his parents." He urges parents to set positive behavioral examples for teens, by responsible use of alcohol and no use of drugs and to make expectations about the unacceptability of underage alcohol use explicitly clear. Because drinking is so associated with the use of other drugs and other risky behaviors, Elizabeth Planet, Vice President of CASA urges parents to watch for alcohol use, saying, "Drinking is a sign. 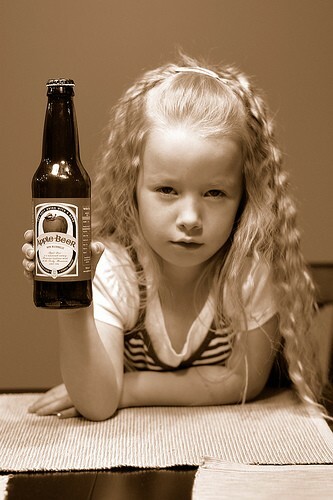 If your kid is drinking regularly, don't discard it as not serious."